The Signature Program is #CAP℠ which is the abbreviation for College Admissions Process. It is designed to assist students in their efforts to enter college by providing a hands-on approach that includes all the steps from researching various colleges to actually completing the application process. Alpha Kappa Alpha will assist students as they seek admission to college by providing guidance and support in completing the application and enrollment process through the 2018-2022 Signature Program, #CAP℠. Too many African-American high school students lack the basic support needed to navigate through the college admissions process. Through #CAP℠ chapters will partner with local high schools and youth groups to bridge the gap between high school and college by demystifying the college application and enrollment process. This educational initiative will extend to all colleges and universities, both HBCUs and non-HBCUs. #CAP℠ is a step-by-step approach to facilitate college admission from researching various institutions and submitting applications through completion of the enrollment process. Chapters will assist students in completing college applications, preparing for the ACT and SAT, writing compelling personal statements, identifying scholarships and other financial aid, and compiling a portfolio to track college admission results. Through #CAP℠ Alpha Kappa Alpha will improve the trajectory of the lives of talented young people by increasing their potential for success and laying the foundation for positive, productive, and fulfilling lives. 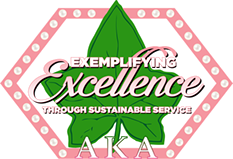 The Xi Theta Omega Chapter of Alpha Kappa Alpha Sorority, Inc., in partnership with the Arlington Foundation for Excellence in Education will host its annual Youth Education Success (YES!) Summit every October. This unique, complimentary, teen–focused summit provides valuable educational workshops and resources to over 300 youth and over 100 parents in and around Tarrant County. YES! Summit will address today’s growing need for life skills. math and science career awareness, and educational preparedness. The YES! Summit is a conference for students in grades 7–12 that provides them with an opportunity to network with their peers, and attend a variety of workshops on leadership and self–sufficiency for academic and personal success. The Summit will features a motivational speaker, valuable workshops, and exhibitors. A unique feature of the YES! Summit is to provide education workshops and resources to parents to encourage them to become more involved in their students’ education. Potential workshop topics include STEM (Science, Technology, Engineering, & Mathematics) awareness and education, college preparation, self–development, importance of choices, topics on transition into adulthood, career goals and much, much more! Attendees can attend this complimentary event and also receive breakfast, lunch, and wonderful and exciting giveaways. The Family Expo is for the Arlington and surrounding communities’ youth with the goal to inspire and for imagine the possibilities. The Xi Theta Omega Chapter of Alpha Kappa Alpha Sorority, Inc. and The Arlington Foundation for Excellence in Education hosts the Arlington Family Expo on an annual basis. This unique, complimentary family-focused event provides valuable resources to almost 400 people in and around Tarrant County. Arlington Family Expo addresses the growing need for financial responsibility and health awareness. In addition, through this event, sponsors are able to raise awareness about health issues and financial issues that affect the community and increase community education and involvement. The Arlington Family Expo offers free educational seminars that provide a wealth of information to broaden the attendee’s awareness about critical financial and health issues presented by Tarrant County Health Department and other community professionals. for all ages. The younger children will be entertained through many age-appropriate and fun activities. Teen activities will focus on health and financial awareness through interactive seminars. The Arlington Family Expo features a comprehensive, free health fair that provides important health screenings for participants. Additionally, exhibitors from the community are invited to provide educational materials on health issues, educational issues, issues facing children and teens, realty services, banking services and much more. Attendees also receive breakfast and lunch while receiving wonderful and exciting giveaways. During the event local entertainment is highlighted and community leaders are honored and recognized. The Arlington Family Expo is an event to remember and open for the entire family with the goal to Inform! Invest! Ignite! We hope you’ll join us this year! A.C.O.L.Y.T.E.S. (Arlington Community Of Lovely Young Teens Excelling in Service) is a teen organization for young ladies in the Arlington, Texas area and surrounding communities. It was founded in May of 1990 for young ladies ages 13 to 18 by the Xi Theta Omega Graduate Chapter of Alpha Kappa Alpha Sorority, Inc. ACOLYTES is the premier fellowship of young ladies committed to working together to serve the citizens of Arlington and make a positive impact on other youth in order to affect change. The purpose of ACOLYTES is to improve and enrich the social, cultural, economic, and academic status of young ladies. With this purpose, ACOLYTES strive to promote excellence, encourage unity and friendship, and to improve communities through service. ACOLYTES strive to be committed to the needs of others and to do their best in each endeavor they undertake. Xi Theta Omega members serve as mentors for ACOLYTES by helping them become leaders in their own community service organizations. Once a member of the ACOLYTES becomes a senior in high school, the hope is that she will aspire to become a Debutante. Membership is open to any eager young ladies in the Arlington/Fort Worth, Texas Area and surrounding communities who are between the ages 13-18 and meet the requirements for membership. We look for young ladies who will participate in the many activities provided as well as community service. For more information, please contact the ACOLYTES Chair. The Arlington Foundation for Excellence in Education, in partnership with the Xi Theta Omega Chapter of Alpha Kappa Alpha Sorority, Inc., hosts an annual Scholarship Ball and Debutante Presentation for young ladies in their final year of high school. The six month program consists of monthly training modules, with presentations and activities focusing on health and wellness, education, etiquette, leadership development, cultural arts, and community service. Through these activities, our organization seeks to motivate and educate program participants to grow academically, professionally and culturally. The program culminates with a black-tie Scholarship Ball and Presentation during the fall of each year where the debutantes are presented to society and recognized for their participation in the program. Please visit http://www.arlingtoneducation.org/debutante-program to get more information.